I’m all about quick and easy projects (which leaves more time for cocktails) and it doesn’t get much easier than this. 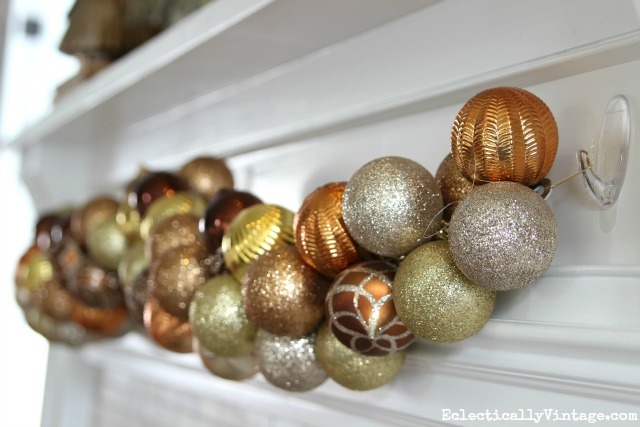 I had a container of 100 shatterproof ornaments that I used on my tree a couple of years ago just waiting for a makeover and today I’m showing you how to make ornament garland for the holidays. 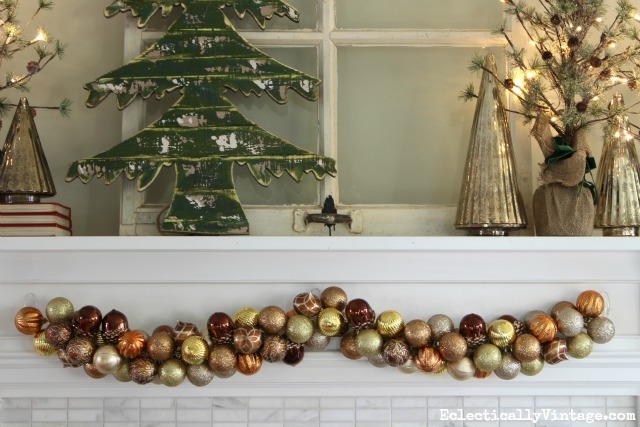 So in the time it takes for Santa to shimmy down the chimney, you can make this garland with a few supplies. This isn’t limited to Christmas either. 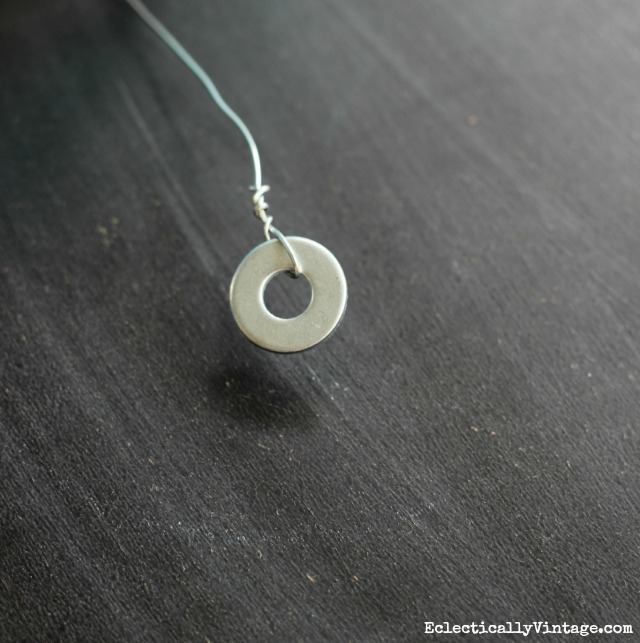 Use colorful ornaments to customize this for a birthday, graduation, Valentine’s Day (the sky’s the limit) decoration. 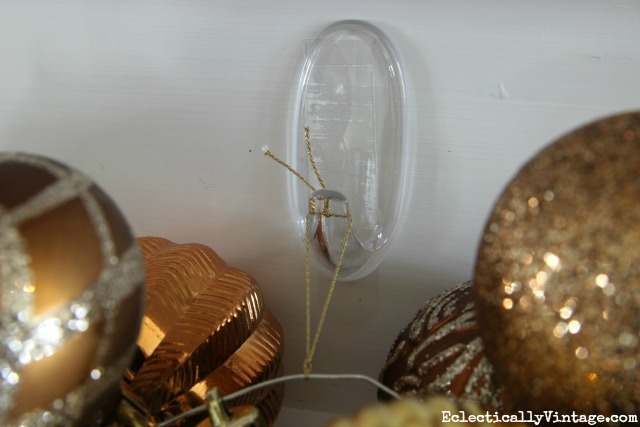 5) Drape one side of the garland until you like it’s placement then mark the end with a pencil and adhere one clear hook then tie your cord through the metal washer forming a loop and hang loop from clear hook. 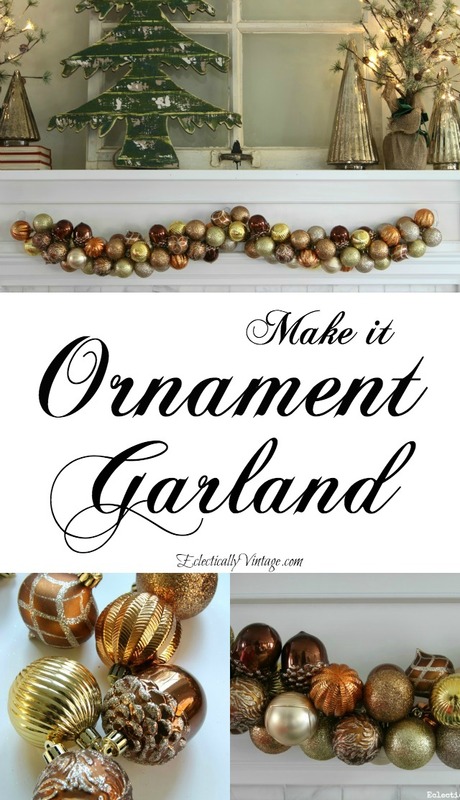 Repeat this step with the other side of garland. 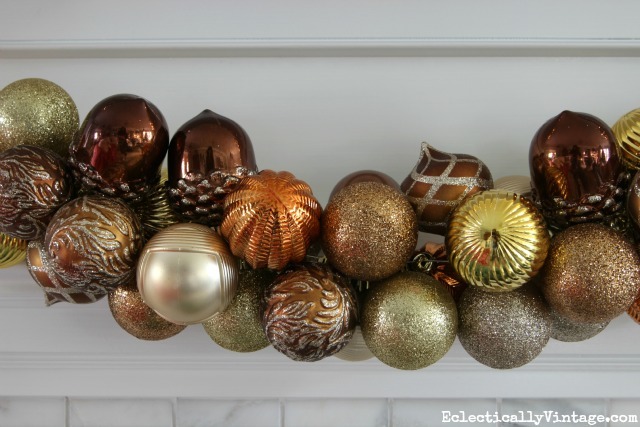 Here’s to adding a little sparkle everywhere we go. Thanks Laura and hope you and your family have a magical Christmas! You have a lovely home! 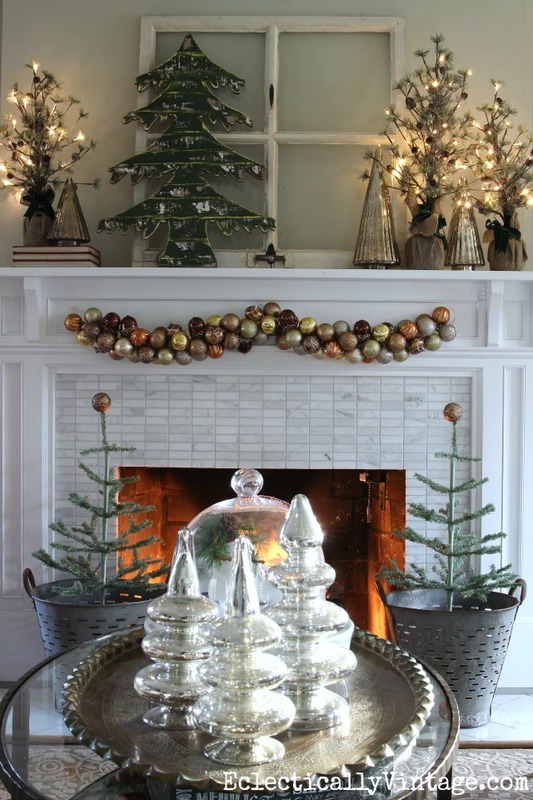 I would love to know where you got the green wooden tree on your mantel? Did you make it? I love it!